Nusa Penida is an island southeast of Bali island, Indonesia. Administratively, the island is a subdistrict of Klungkung regency. There are two small islands nearby: Nusa Lembongan and Nusa Ceningan. 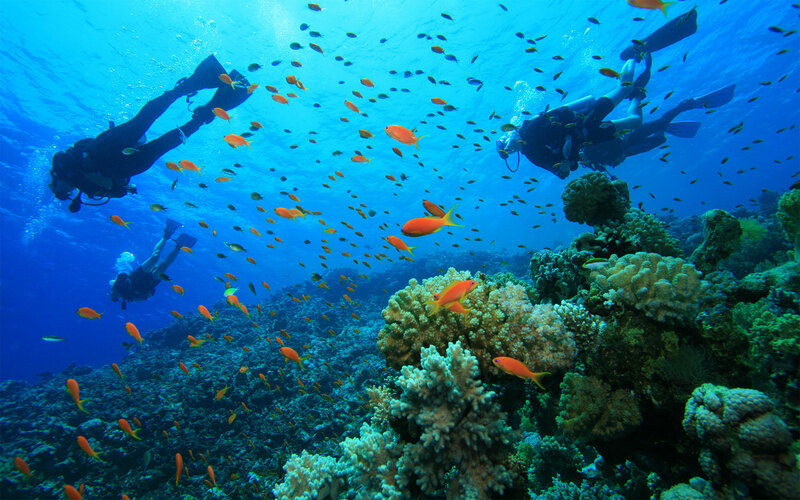 The Badung Strait separates the island and Bali.Nusa Penida covers a wide area of diving locations. They are Penida Bay, Manta Point, Batu Meling, Batu Lumbung, Batu Abah, Toyapakeh and Malibu Point. The flow through the Lombok Strait is, overall, south-tending, although the strength and direction of the tidal streams are influenced by the monsoon seasons. During the southeast monsoons, the tidal flow tends south; during the northeast monsoons, the tidal flow tends north. In the area of the strait north of Nusa Penida, the pattern is relatively simple, with a flow, at peaktide, of about three-and-one-half knots. Tidal streams in Badung Strait are semi-diurnal, but the character of the stream is very complicated because its direction runs obliquely to the general south to north direction of Lombok Strait, and the channel has a curved shape.